If your Nissan 240 SX is running poorly, won’t start, keeps stalling or is suffering from strange gas mileage your PCM may need replacing and repairing. Solo Auto Electronics is the industry leading auto computer servicing business for many reasons. We’ll save you up to 50% on costs, we’ll guarantee all of our work and we’ll offer you lifetime warranties on all our products so you know you came to the right place. 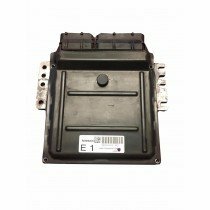 Find the correct PCM, ECM, or ECU below for your Nissan 240 SX and order it today. If you don’t see the correct year or model that you need just give us a call and we’ll be able to further help you as we specialize in all vehicles.